The brainchild of The Reduced Shakespeare Company, this incredibly funny play, written by Adam Long, Daniel Singer and Jess Winfield was first performed at the Edinburgh Festival in 1987 and subsequently transferred to London’s West End where it ran for nine years. 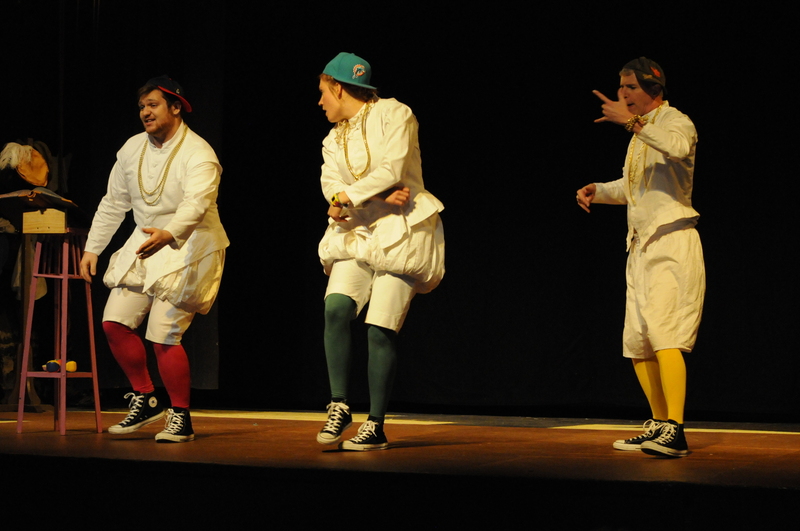 Sydney’s Genesian Theatre is currently presenting their production of this entertaining show. Jessica Gray, Jamie Collette and Barry Nielsen make up the superb cast, bringing the characters to life with their excellent performances. In just 97 minutes, the show touches on all of Shakespeare’s works and presents every single one of the 1,122 roles, (the sonnets are thrown in as a DVD extra!). Hard to believe, that all these roles are performed by just three actors. Directed by Tom Massey, this is one of the best shows I have seen presented in this charming intimate theatre. 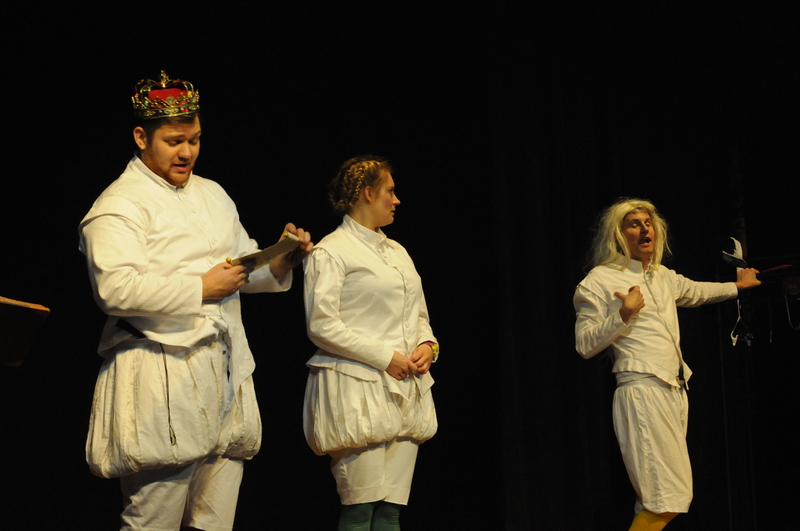 The play is notable for holding the (self-proclaimed) world record for the shortest ever performance of Hamlet, clocking in at 43 seconds, as well as the fastest performance of Hamlet backwards, at 42 seconds! Unless you see it, you won’t believe it. The season runs until 8 August 2015, with performances on Friday and Saturday evenings at 8 p.m. plus a matinee at 4.30 p.m. on Sunday. When celebrations are planned in Sydney, fireworks displays are usually at the forefront, such as our world famous New Year’s Eve fireworks. Anyone living near Sydney Harbour will tell you that fireworks seem to be going off almost every night, celebrating a sporting win, corporate event or family birthday. In Sydney there’s no better way to announce something special than to let off some fireworks. Sydney’s title as the fireworks capital of the world is now being challenged by Macau. 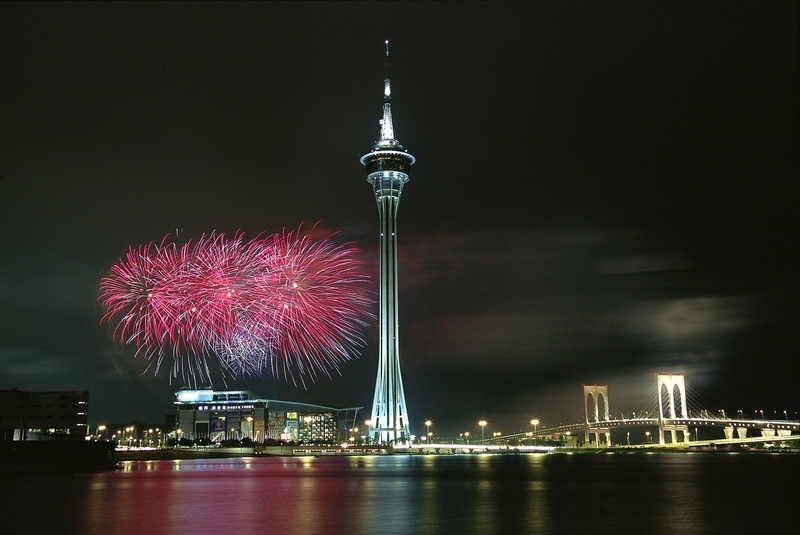 The night sky over Macau and its landmark Macau Tower will burst into a kaleidoscope of colours for the 27th successive year, in an international contest which has brought success for Australia and won the hearts of admirers from around the globe. 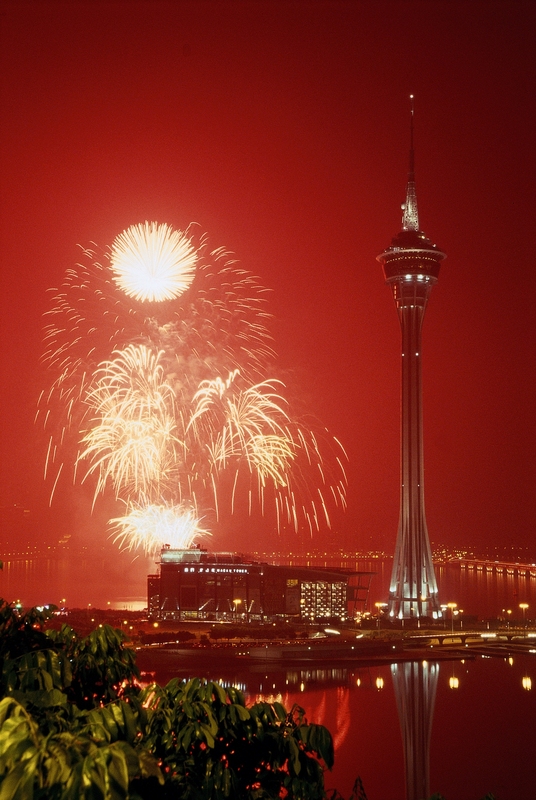 Since the inaugural spectacular Macau International Fireworks Display Contest, Australian teams have finished on the podium five times, with first place in 1998 and third in 2003, 2006, 2012 and 2014. This year’s challenge, once again organised by the Macau Government Tourist Office, will burst into action during the Mid-Autumn Festival on the Saturdays of September 5, 12, 19 as well as Sunday, September 27 and Thursday October 1. Howard & Sons Pyrotechnics (Displays) has been invited to wave the Australian flag and will be joined by teams from China, Portugal, Malaysia, Finland, Taiwan, Korea, Italy, France and Austria. On the final day, the Australian team will meet China, last year’s champion country. This should be a day for celebration, as it will be China’s National Day. Macau Government Tourist Office director, Maria Helena de Senna Fernandes, expressed her gratitude for the support shown by the fireworks companies from across the globe, making the Macau International Fireworks Display Contest one of the most stunning events of the year. To work in line with building Macau into a ‘World Centre of Tourism and Leisure’, Macau Government Tourist Office will continue to present more fascinating and diversified events for residents and visitors, combining different elements with tourism to attract visitors from around the world to experience Macau’s charm as a ‘city of events’. 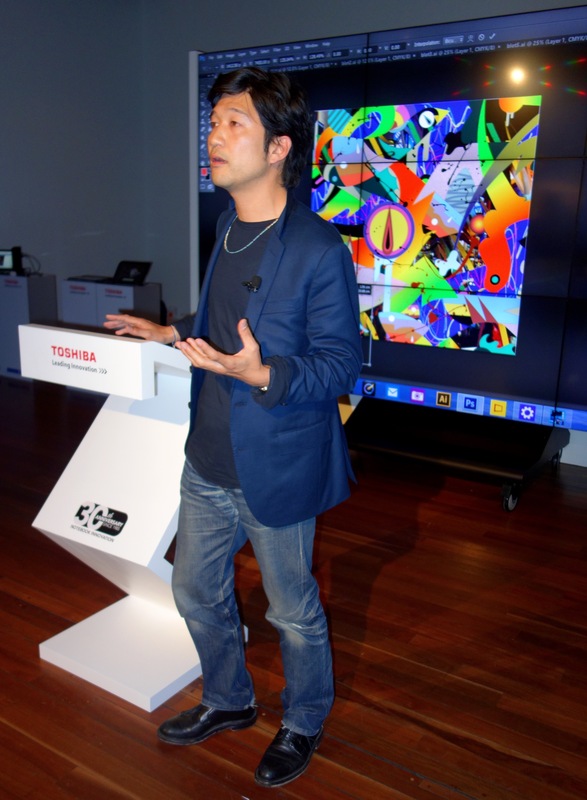 To put their new notebook to the test, Toshiba Australia, Windows and Intel recently challenged renowned Japanese artist, Tomokazu Matsuyama, to craft an entire pop-up art exhibition for Sydneysiders to enjoy. 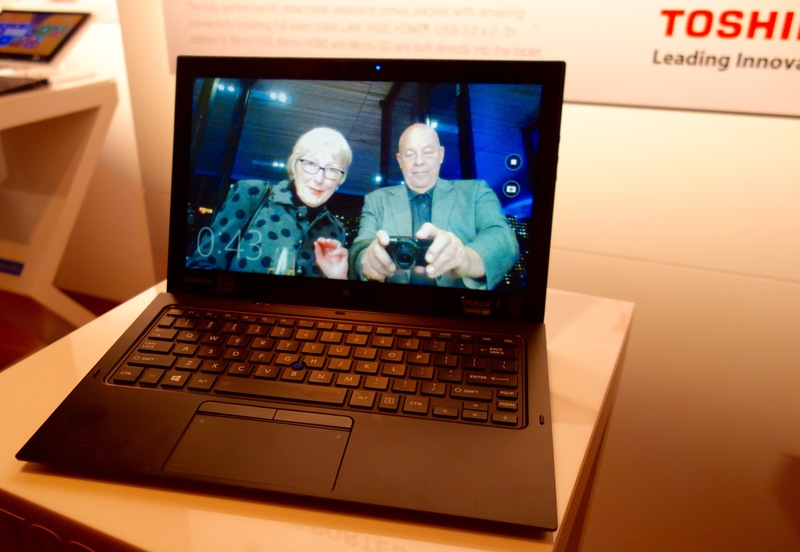 All the artworks for the exhibition had to be created by Tomokazu during his 17 hour flight from Japan to Sydney, using only a Toshiba Portégé Z20t notebook. Ordinarily, one picture takes Tomokazu and his team of assistants several months to complete, as they build up layers of colour, form and pattern. 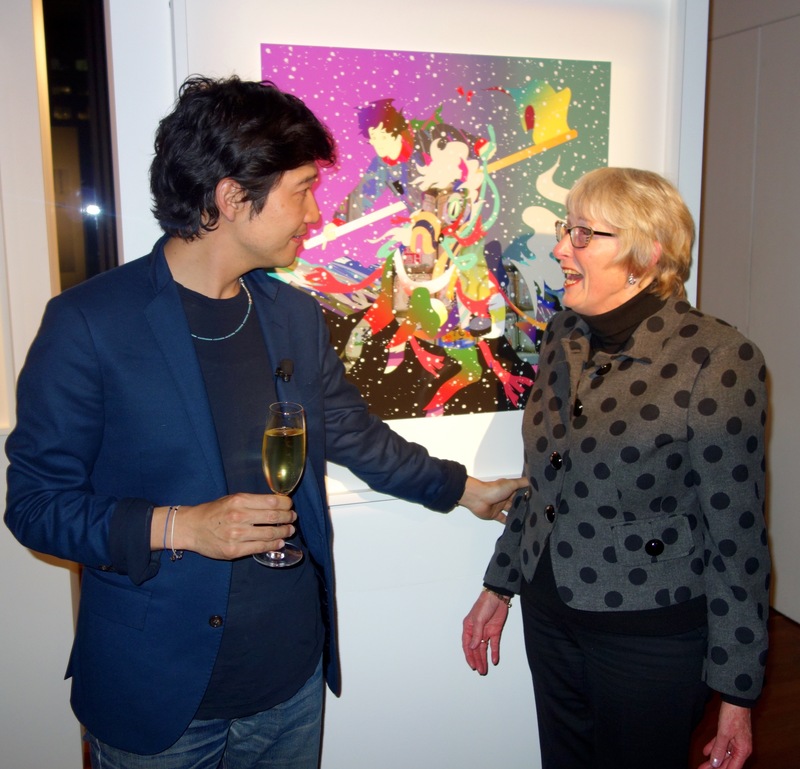 Tomokazu Matsuyama has exhibited at museums and galleries around the world. Fusing the past with the present and East with West, his creations are rooted in traditional Japanese iconography, while also being contemporary. With a Management degree from Tokyo’s Sophia University plus an MFA, Communications Design from New York’s Pratt Institute, Tomokazu has also worked as a professional snowboarder. On arrival in Sydney, the resulting artworks from this ultimate test of man over machine, were printed and framed, then displayed at the recently held one-off “Made in 17 Hours” pop up art exhibition held over two days in The Museum of Contemporary Art at Sydney’s Circular Quay, where those in attendance, were inspired by the merger of creativity and technological innovation. It was awesome to see such a beautiful selection of unique original, colourful artworks and at the same time, hard to imagine that Tomokazu Matsuyama had created them all while travelling on his 17 hour flight, with his Toshiba notebook and its fully charged battery. After viewing Tomokazu’s exhibition, I wonder how he had time to eat during the flight, or whether he managed to grab a quick nap. I expect he decided to take it easy and relax on the flight back home. 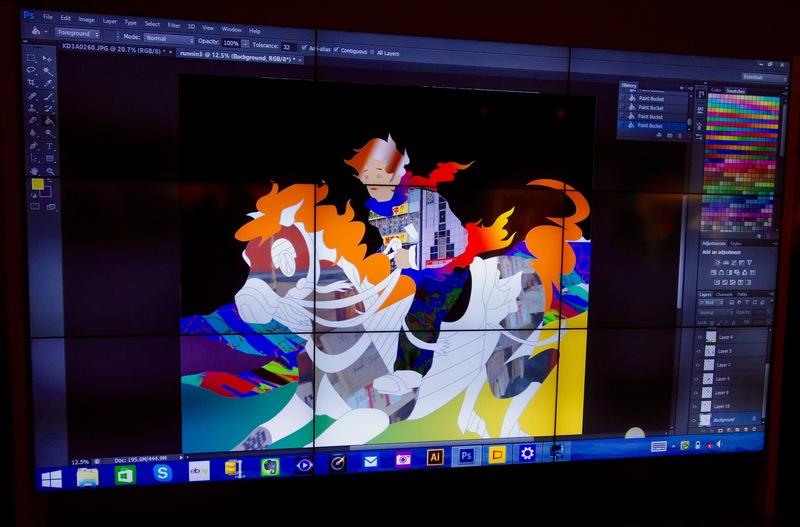 All the digital artworks created for this pop-up exhibition will find a permanent home decorating the walls of Toshiba’s Sydney offices. “GHOST STORIES” – WILL YOU BE FRIGHTENED? The ticket for “Ghost Stories”, currently playing at the Drama Theatre at Sydney Opera House until 15 August, carries the warning “Latecomers Not Admitted, Under 12’s Not Permitted / Unsuitable for Under 15’s”. If those words don’t prepare you for the possibility that you will be scared and frightened, the promise of a truly terrifying theatrical experience that is not for the faint hearted will. Those with a nervous disposition or any other medical conditions are advised to carefully consider their decision to attend. 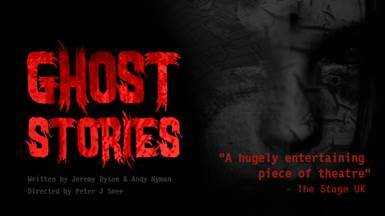 Written by the masters of the macabre, Jeremy Dyson and Andy Nyman, “Ghost Stories” mixes the very best of theatre with all the thrills of a great horror film, taking you on a chilling journey, with no interval to spoil the tension. Originally produced by the Liverpool Playhouse & Lyric Hammersmith (UK) before transferring to London’s West End, “Ghost Stories” has been spooking theatre goers in Toronto and Moscow. Now it’s Sydney’s turn to laugh and scream in equal measures. Despite nearly half a million people seeing the play, details of its plot and storyline are shrouded in secrecy. There’s only one way to know what happens in the show – see it for yourself. Lynden Jones as Professor Goodman brings together the spooky tales experienced by John Gregg as Tony Matthews, Aleks Mikic as Simon Rifkind and Ben Wood as Mike Priddle. I found some of the special effects were quite incredible and enhanced the tension. Audience members who wish to experience the show’s thrill again, just need to take the back page of their programme, along with their used ticket, to the box office where they will receive a ticket for another performance. One of the most exciting cities in the world is promoting itself as a family friendly destination. Families planning a holiday in New York City will be pleased to learn that the world’s most beloved explorer, Dora, is returning as the Official NYC Family Ambassador. A global phenomenon, Dora has crossed social, racial and language boundaries and stands as a hero and friend to millions of children around the world. Dora returns as the seventh Family Ambassador after Curious George in 2014, Where’s Waldo? in 2013, The Muppets in 2012, The Smurfs in 2011, Dora the Explorer in 2010 and Sesame Street in 2009. As part of the year long campaign, Nickelodeon’s Dora will encourage families to travel further afield from the traditional tourist hub around Times Square and explore the City’s five boroughs. 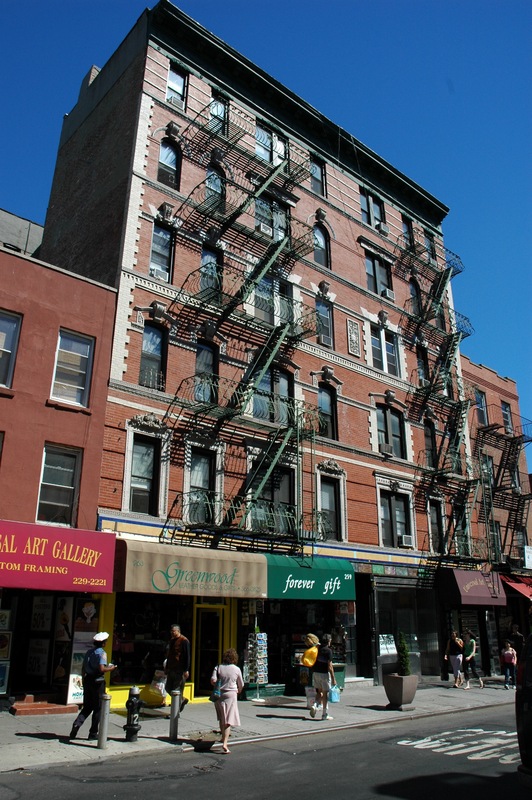 The Family Ambassador program was created in 2009 to help position New York City as a welcoming family friendly destination and to encourage families to visit year round, as well as invite those who have already visited New York City to return and enjoy all of the new attractions the City has to offer. 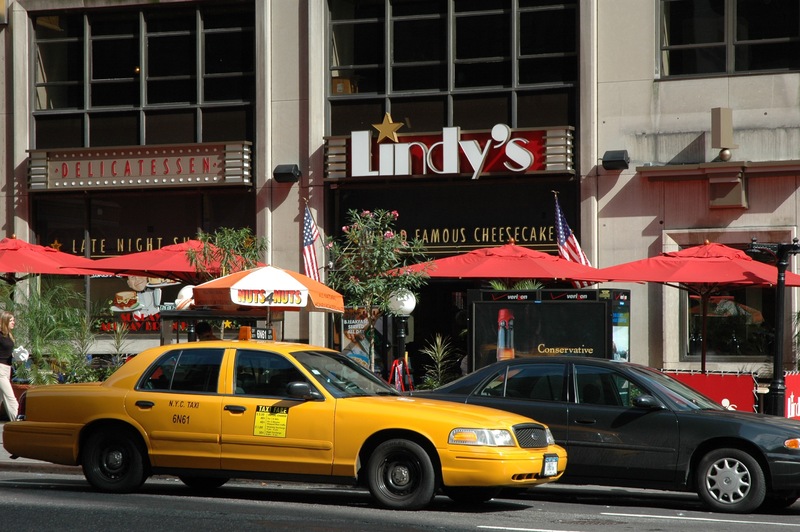 “When it comes to family friendly destinations, New York City leads the way with its robust offering of parks, attractions, cultural organisations, hotels and restaurants that lend themselves to a memorable family vacation. We are thrilled to enlist the help of the adventurous Dora to welcome even more family travellers,” said Fred Dixon, President and CEO of NYC & Company, the official marketing, tourism and partnership organisation for the City of New York, dedicated to maximising travel and tourism opportunities throughout the five boroughs, building economic prosperity and spreading the positive image of New York City worldwide. 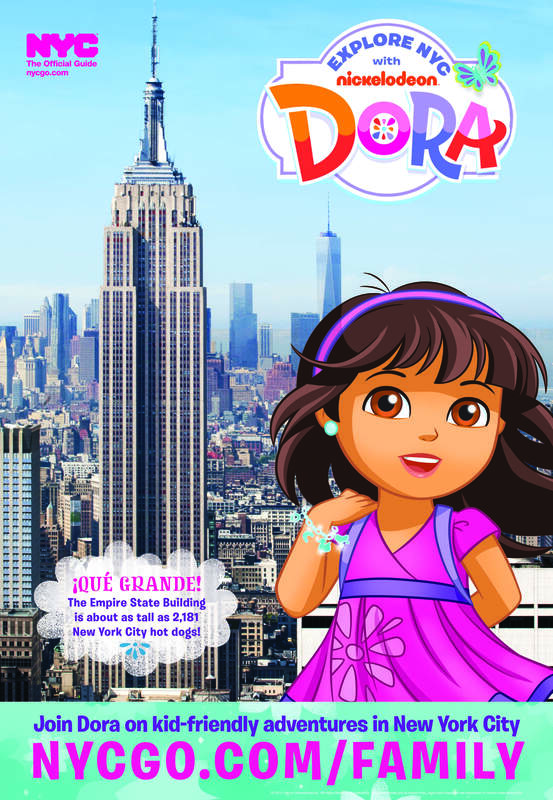 As part of the campaign, an “Explore NYC with Dora” activity book will be available for families at a selection of hotels and cultural organisations. The booklet includes NYC themed activities, facts and interactive elements to encourage families to enjoy NYC’s kid friendly attractions. Some of New York City’s attractions that the whole family can enjoy are the Central Park Zoo in Midtown Manhattan where visitors can see polar bears and watch sea lions being fed. The dinosaur wing at the American Museum of Natural History located on the Upper West Side is always a favourite with kids, as is the Intrepid Sea, Air & Space Museum at Pier 86 which houses the space shuttle Enterprise and the British Airways Concorde. One place the kids won’t want to miss is the legendary toy shop FAO Schwarz. 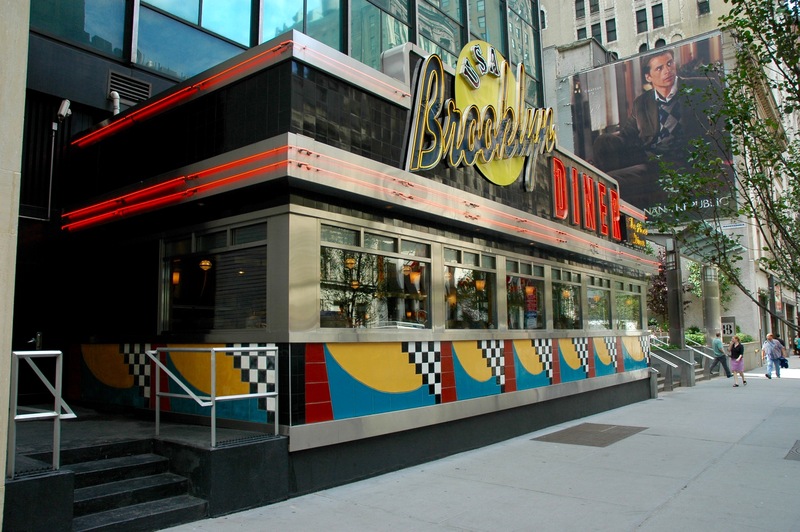 Venture out of Manhattan to the borough of Brooklyn to visit the New York Aquarium on the Boardwalk at Coney Island and also ride the famous roller coaster or stroll through the Brooklyn Museum’s Egyptian galleries and Mummy Chamber. Family visits to New York City have grown since the launch by 30.3 per cent and families currently make up 30.5 per cent of total visitor numbers. New York City welcomed an estimated 17.2 million family visitors in 2014, which was a three per cent increase over the previous year. Game parks in Rwanda will again be home to lions after tour operator, &Beyond, donated five lionesses from Phinda Private Game Reserve. The five lionesses are being translocated to Rwanda as part of an African Parks project aimed at reversing the local extinction of the species in Akagera National Park. Lions became extinct in Akagera fifteen years ago when Rwanda experienced a period of intense upheaval following the 1994 genocide. A lack of management of Rwanda’s national parks following these events and the subsequent poisoning of lions by cattle herders resulted in the lions becoming extinct. Prior to translocation, the five lionesses were held at &Beyond Phinda where they were fitted with satellite collars, which will enable the Akagera management team to monitor their movements and reduce the risk of them breaking out into neighbouring community areas. The collars have a two year life span, allowing ample time to monitor pride dynamics as the lions settle in. As an additional precaution, the park’s fence has been reinforced to keep the predators in. &Beyond Phinda is also proud to have been home to one of the oldest lions known outside of a zoo. This female lion was introduced in May 1992 at age 18 months and died in September 2009 of injuries caused in a fight, when she was almost 20 years old. In preparation for the translocation, the Akagera management team ran a comprehensive sensitisation programme in the communities surrounding the park, to educate the reserve’s neighbours about the significance of lions in the natural environment and promote harmonious co-existence. To begin their journey to Rwanda, the lionesses were tranquilised, placed in individual crates, loaded onto trucks and driven to Johannesburg. They were then loaded onto a charter flight and flown to Kigali, the capital of Rwanda, where they were transported by road to Akagera National Park. Throughout the journey, the lions were accompanied and monitored by an experienced veterinary team and kept tranquilised to reduce stress. On arrival in Akagera, the lions were placed in a specially erected boma, split into two separate enclosures and surrounded by a three metre high fence. A water reserve was constructed within the boma and the lions fed every three to four days, replicating their natural feeding patterns. &Beyond Phinda has a long history of lion conservation in South Africa, being one of the first private game reserves in South Africa and the first in the province of KwaZulu-Natal to introduce lions. 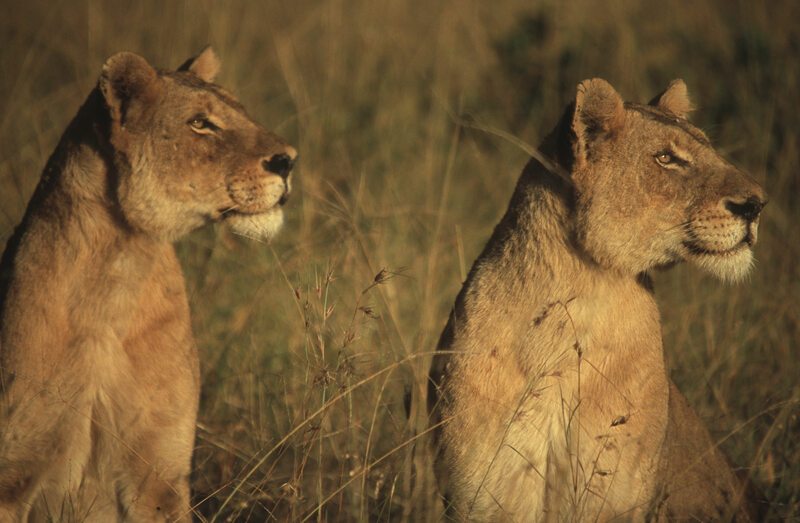 Since the first 13 lions were introduced in 1992, almost 220 lions have been born on the reserve. &Beyond Phinda has helped establish other lion populations in private game reserves in the Eastern Cape, Zululand, Mpumalanga, North West and the Limpopo Province, as well as neighbouring Mozambique. 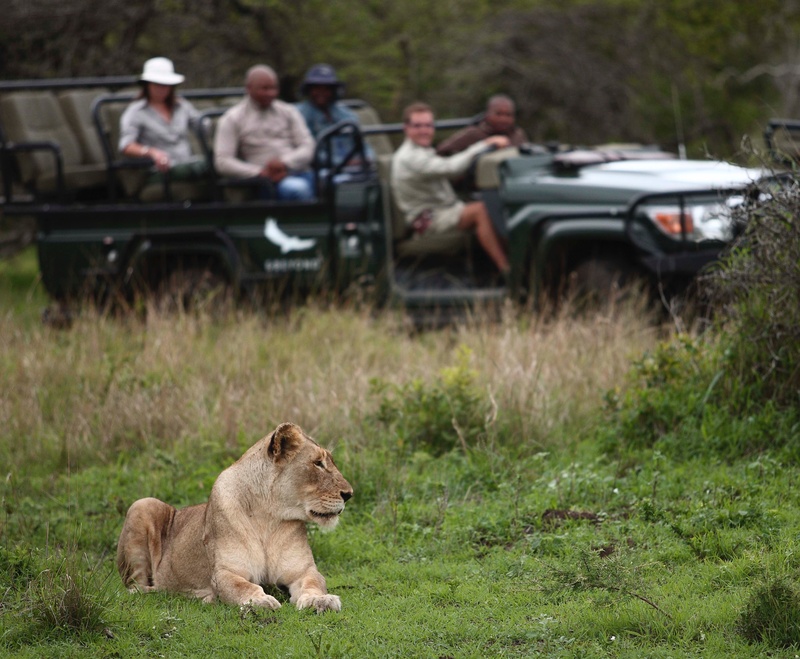 The reserve is also a founding member of the Lion Management Forum of South Africa, which aims to promote best practice in lion management and conservation in Southern Africa, generating industry norms and standards for lion conservation. You are currently browsing the SANDRATBLOG.COM blog archives for July, 2015.